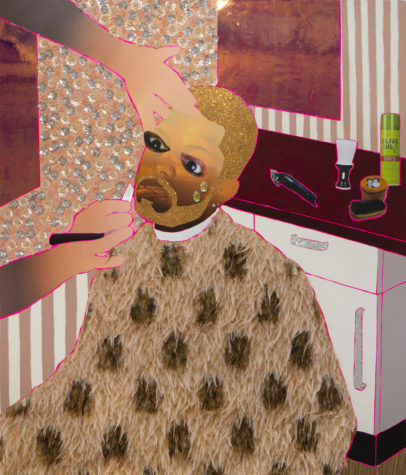 Devan Shimoyama: Cry, Baby marks the first solo exhibition of Devan Shimoyama, Philadelphia-born painter and professor at Carnegie Mellon University. 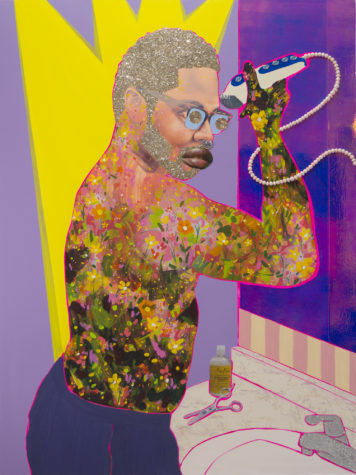 This exhibition, which covers his entire booming career, includes painting, photography and sculpture, as well as a series of new works that are being exhibited for the first time. 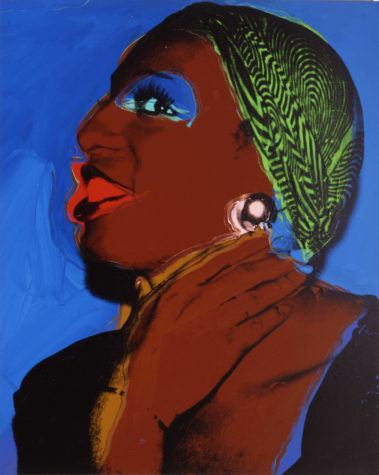 This exhibition, on view through March 17, 2019, makes a unique connection to The Andy Warhol Museum’s permanent collection and brings to light contemporary insight into one of Warhol’s largest and yet most overlooked painting commissions, the Ladies and Gentlemen series of 1974 -75. 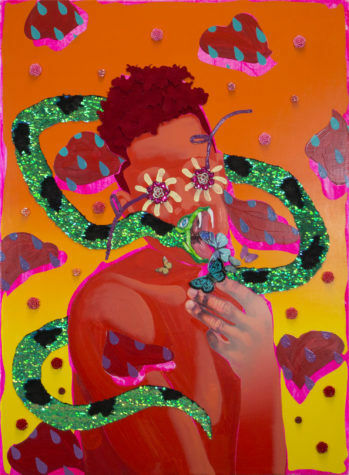 Visitors will find Shimoyama’s work in dialog with Warhol’s portraits of drag queens on the fourth floor of the museum’s permanent collection. 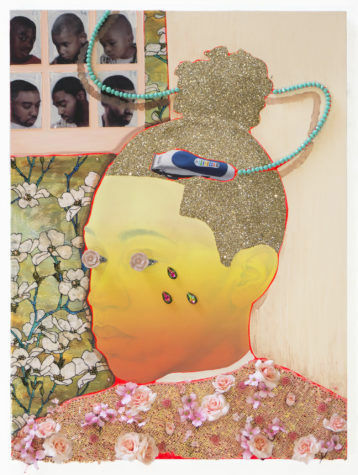 The exhibition will be accompanied by an illustrated catalogue with essays by Jessica Beck, Alex Fialho, and Rickey Laurentiis and an interview by Emily Colucci with the artist. To compliment the exhibition, a robust schedule of public programs is being organized throughout Pittsburgh. 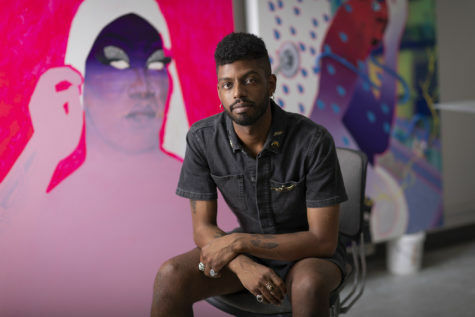 Rashaad Newsome, renowned multi-disciplinary artist, will make his Pittsburgh premiere of Shade Compositions at the Carnegie Music Hall. 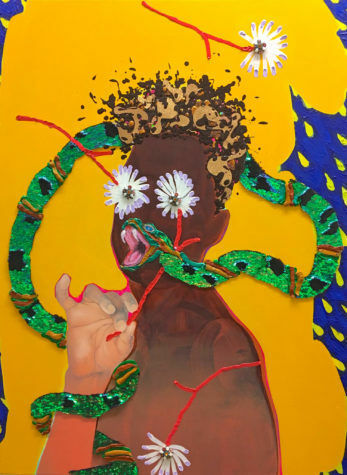 Other events include a partnership with the Center for African American Poetry and Poetics at the University of Pittsburgh, and a closing dialog with Shimoyama and the exhibition catalog contributors. 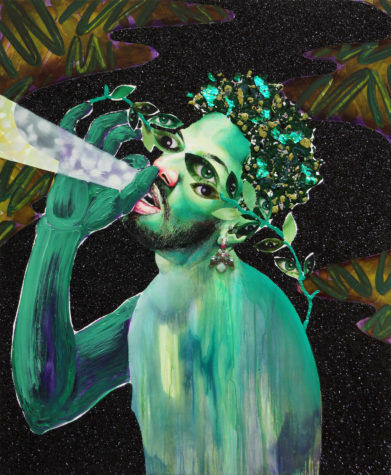 Devan Shimoyama: Cry, Baby is curated by Jessica Beck, The Warhol’s Milton Fine curator of art. Located in Pittsburgh, Pennsylvania, the place of Andy Warhol’s birth, The Andy Warhol Museum holds the largest collection of Warhol’s artworks and archival materials and is one of the most comprehensive single-artist museums in the world. The Warhol is one of the four Carnegie Museums of Pittsburgh. 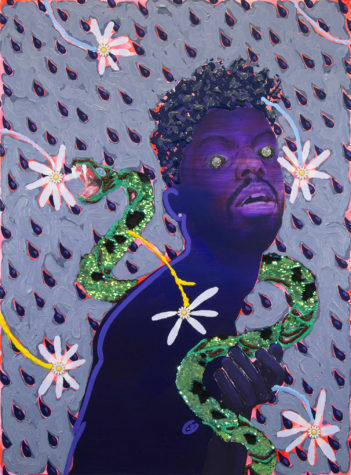 The Warhol receives state arts funding support through a grant from the Pennsylvania Council on the Arts, a state agency funded by the Commonwealth of Pennsylvania; the National Endowment for the Arts, a federal agency; and The Heinz Endowments. Further support is provided by the Allegheny Regional Asset District.